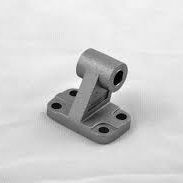 W0950502017 Counter Hinge - Model AB7 050 | DamenCNC B.V. Counter hinge for the Model B type hinges. This counter hinge is intended for attaching to the fixed world. It is not compatible for mounting in the cylinder itself. In that case you need the Model B-Hinge.